What is Sugar? What can it do to my mixes? Find out why this new multiband harmonic exciter plugin does things that are quite unique to the world of digital plugins. 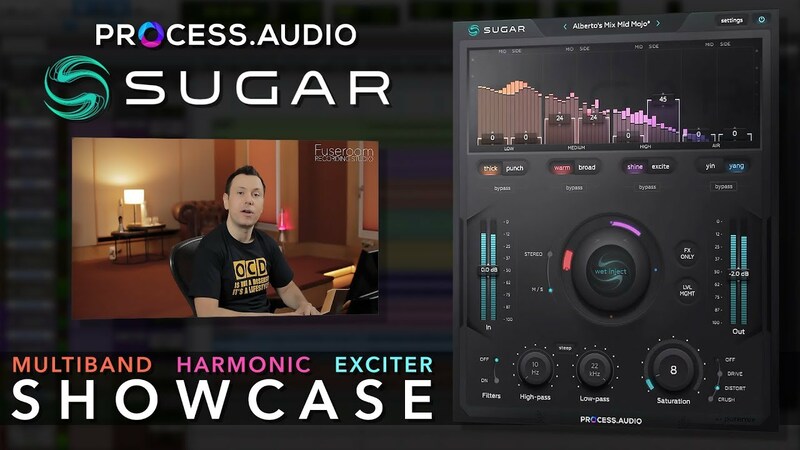 Sugar is the first plugin by Process.Audio and pureMix.net Audio Tutorials. It provides fast, effective mojo for your tracks that can seriously enhance the audio passing through it. From sub bass to airy, sparkling high frequencies, Sugar strives to be incredibly fast to use, intuitive and unique. Let's take a look at its interface and functions and then apply it to a series of stems and on the mix buss. Let's see how the same song is going to sound when mixed on different plug-ins that emulate the same analog channel strip: the famous Solid Stage Logic 4000 E analog console. Find out how "the sound in your head" will translate with slight differencies based on the different user interfaces and emulations. Learn how to use the SSL channel strip to turn your DAW into an emulation of an old analog console. 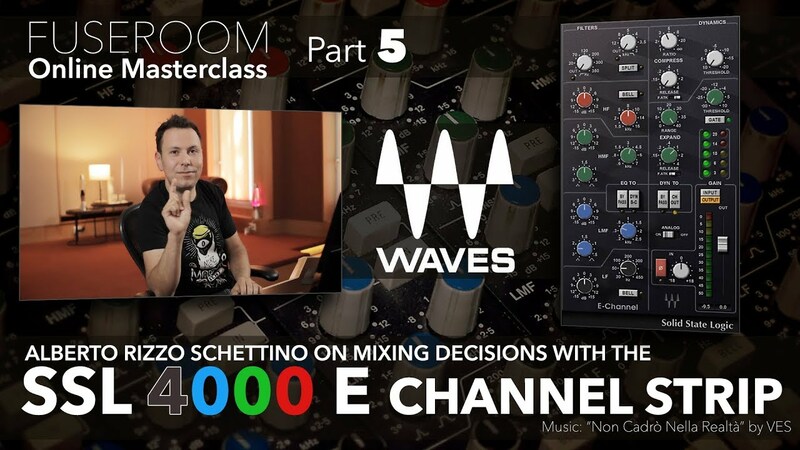 But also learn more about gain staging, effects and routing and more. Take your virtual seat and enjoy! Dynamic Equalizers are among the most coveted tools in the digital domain: their hybrid of frequency and time-dependant operation make them valuable instruments for shaping the tone of a track or an entire mix. 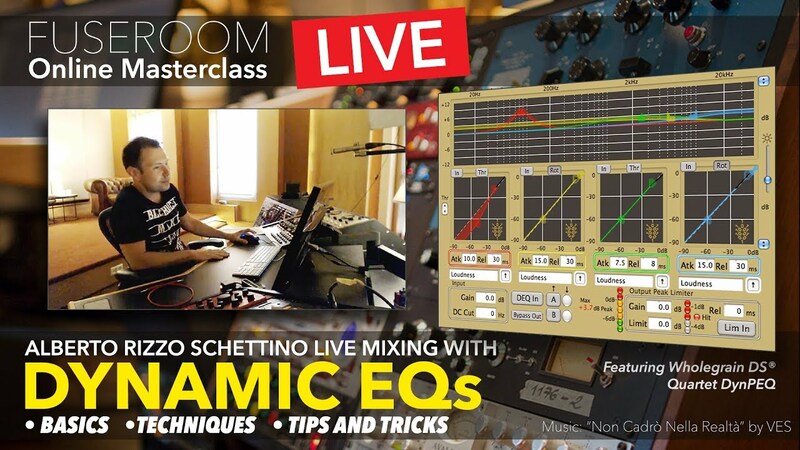 Join this live mixing master class with Alberto Rizzo Schettino, mixing an entire rock song with only a dynamic EQ: the king of dynamic equalizers Quartet DYNPEQ by Wholegrain DS. 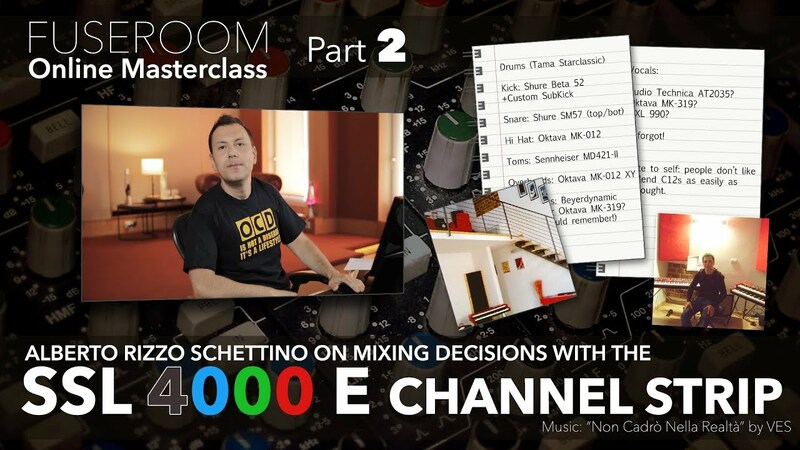 Become a master of dynamic equalization now! All there is to know about analog summing: what it means, how it works and what it can do in a hybrid studio setup. 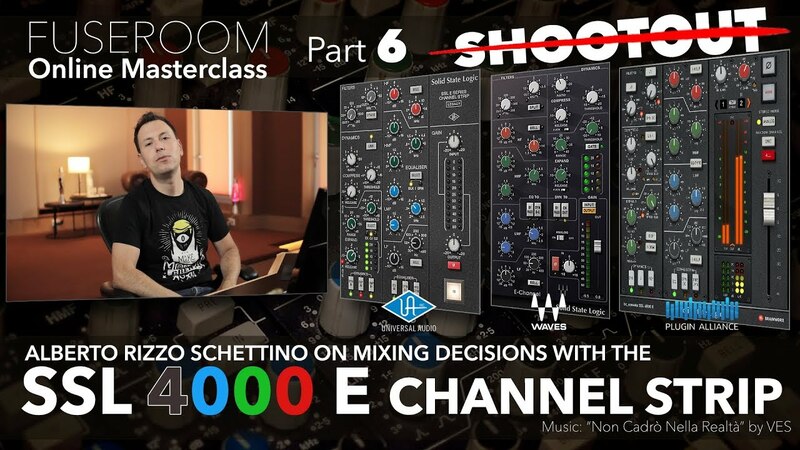 In this masterclass we will talk about its origins and features with a final shootout between a mix 100% in-the-box vs one through real analog summing and then against two famous digital emulations. This masterclass is going to be your final stop for knowing everything about this topic, with the added fresh point of view, objectivity and honest critical mindset that Alberto Rizzo Schettino is famous for. 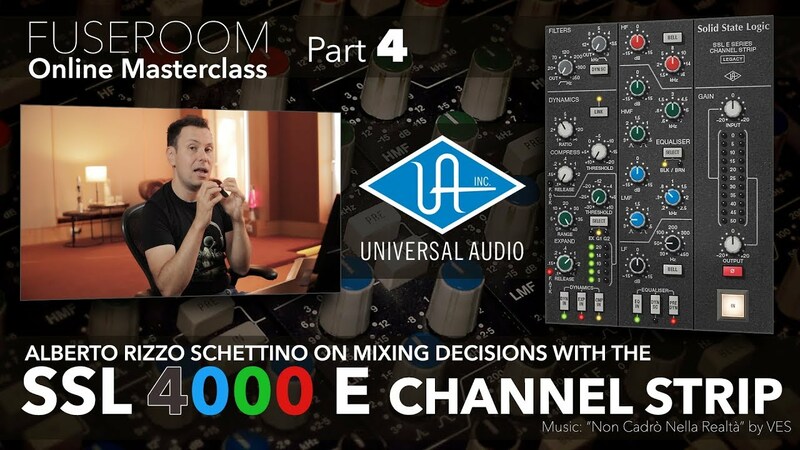 Peak limiting is an important part of today's production processes, especially in mastering. Loud masters with a good sound are not easy to achieve and part of the strategy involves conscious and well-planned peak limiting. What makes clippers different from limiters? We are going to compare and "shoot out" some famous digital clippers and limiters in the digital world to find out what's best about both of them. Analog devices have a desirable way of handling the audio signal. These changes in dynamics and frequency response are typical of all the equipment used back in the days when a lot of our favorite records were made. How do digital plug-ins recreate this analog behavior? This 4-episode bundle gets you up and running with the basic principles behind analog modeling in music production. What is your favorite audio plug-in, and why? What makes the digital domain more comfortable and/or more powerful to use? 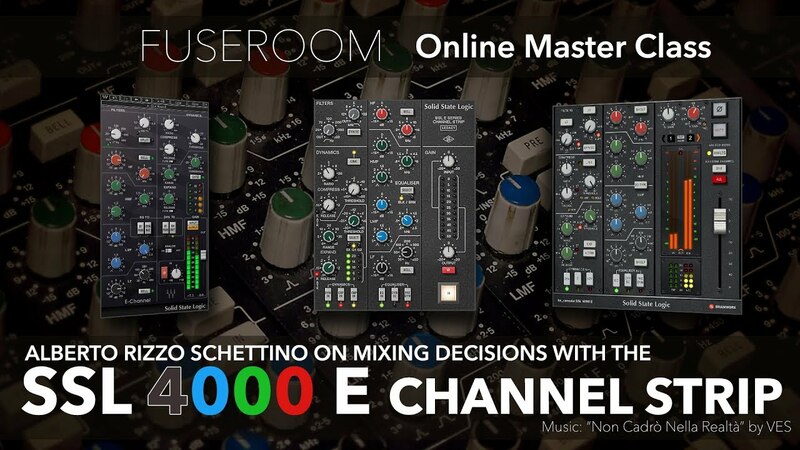 What features make some plug-ins stand out against others? 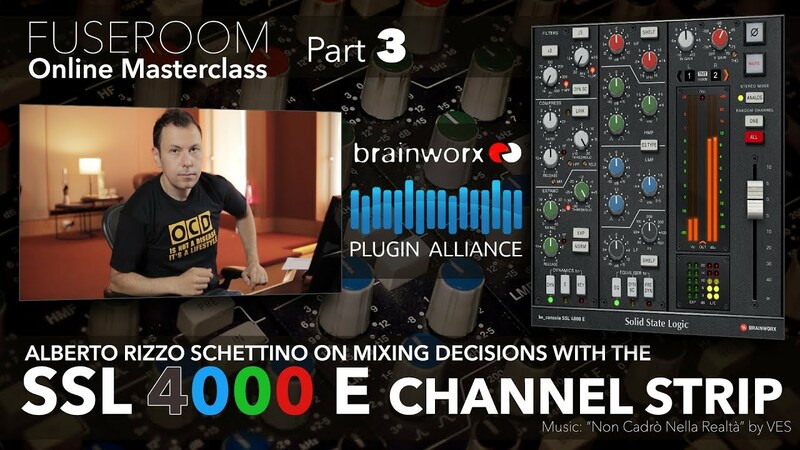 This video serie focuses on the strong points of plug-ins in the digital era, from the user interface to the internal processing. What is a Parallel Equalizer? Audio and music theory explained in a way that will make you go "ah! Now I get it!". A collection of topics related to music business, running a recording studio and today's interactions with clients, professional networking and more. Miscellaneous, funny and cool things that happened at Fuseroom Studio.